Aishwarya Rai is undoubtedly one of the most beautiful women in the world. Just like any other women, Aish too has put up a lot of weight after pregnancy. But, unlike others, she has lost all that post pregnancy weight and stunned everyone with her re-entry film ‘Ae Dil Hai Mushkil’. A lot of people have criticized for her plumped look but she didn’t care those onlookers as she want to deliver a healthy baby by providing enough nutrition and as a result she has put on excess weight. 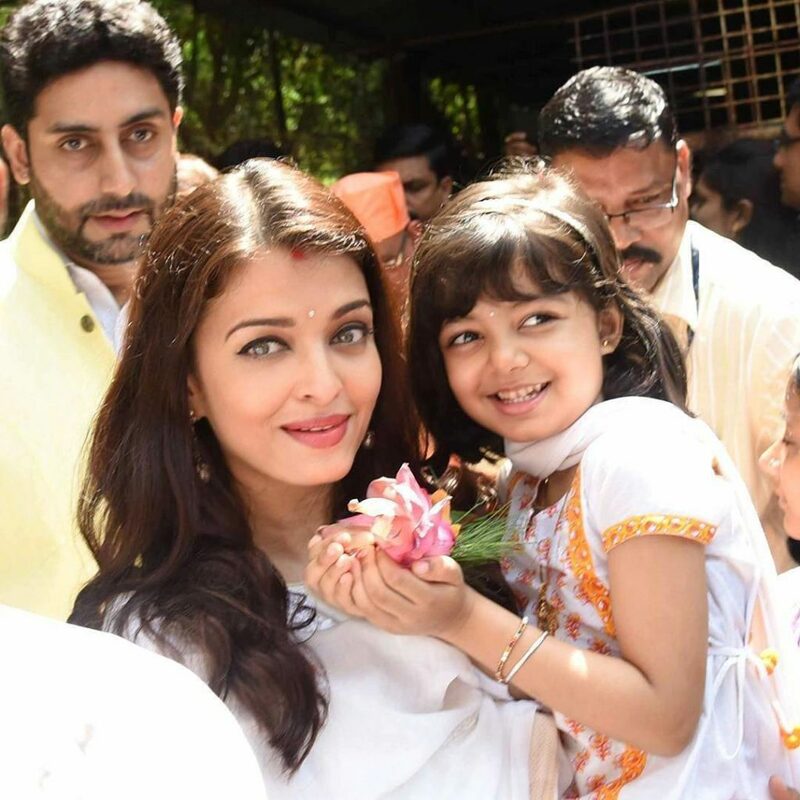 Aish took a break from her acting career when she gave birth to a beautiful baby girl ‘Aaradhya’ on November 16, 2011 and have gained a few pounds along the way. Although, the media have criticized for her voluptuous figure, she defended saying that she was thoroughly enjoying her motherhood and also she was not in a hurry to lose it. And after spending quality time with her baby, she finally transformed herself into a new diva and stunned the media as well as the public. She has now become the talk of the industry with media going gaga over her beauty. You can also see a lot of questions pouring in on the social media, blogs and TV shows about the real secret behind Aishwarya Rai’s successful weight loss journey. 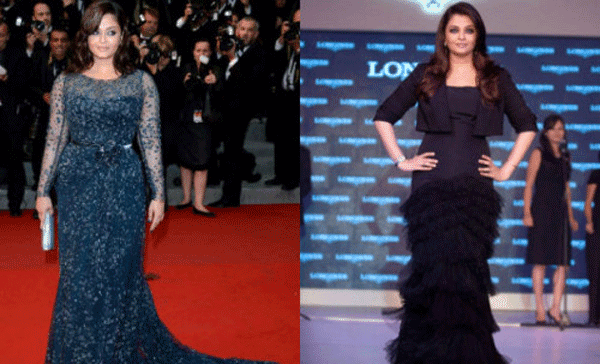 So, are you too wondering how did Aishwarya lost weight after pregnancy? Then continue reading the article. Like the diet experts suggest, it is very important to have your first meal within 30 min to 1 hour after waking up. Aish too starts her day with a glass of warm water, lemon and honey in it as it will boost your metabolism. She takes either brown bread toast or a bowl of oatmeal. This breakfast menu contains healthy healthy whole grains as well as provide you with enough protein and fiber. Lunch usually consists of either a bowl of dal with 1 pulka/chapati or a large bowl of boiled vegetables. She is so fond of the menu that she once said – ‘I can survive on just Dal, Chawal and Veggies’. The last meal of the day is usually the one that satisfies the appetite but does not provide too much of carbohydrates. For dinner, Aish consumes 1 cup of brown rice with grilled fish. While the rice provides fiber, the fish provides enough protein and Omega-3 fatty acids. Aishwarya Rai prefers to eat more frequently so that she doesn’t feel hungry. This habit of eating multiple meals also helps to avoid overeating during the main meals. Instead of eating junk, fried or fatty foods, she prefers fruits, vegetables and fresh juices of both (without sugar). Along with that, she keeps herself hydrated all the time by drinking a minimum of 8 glasses of water per day (it comes to around 3 to 4 liters). Drinking more water also helps bring glow to her skin. It is surprising to know, but Aish herself admitted in an interview that she doesn’t take exercise very seriously and credits her good genes for her lean figure. But, since she has gained a lot of weight during the pregnancy, she used to attend gym twice a week. During the rest of the week, she prefers Yoga Exercises over workouts as it keeps the body powerful as well as flexible. She starts her exercise routine in the morning with either brisk walk or jogging for 10 to 15 minutes. Once done, she practices Power Yoga for 45 minutes. During those 2 workout days, she does functional training along with cardio workouts. In fact, she emphasizes more on eating healthy rather than working out for weight loss. So, I’m sure now you understood how Aishwarya Rai lost weight after pregnancy. However, don’t try to follow her weight loss regimen, as it differs from one person to another depending on the person’s age, activity levels and metabolism. Just consider it as a starting point to go healthy and make the changes to your schedule as and when necessary. Previous Post:How to Prepare Tomato Soup for Day 5 GM Diet?